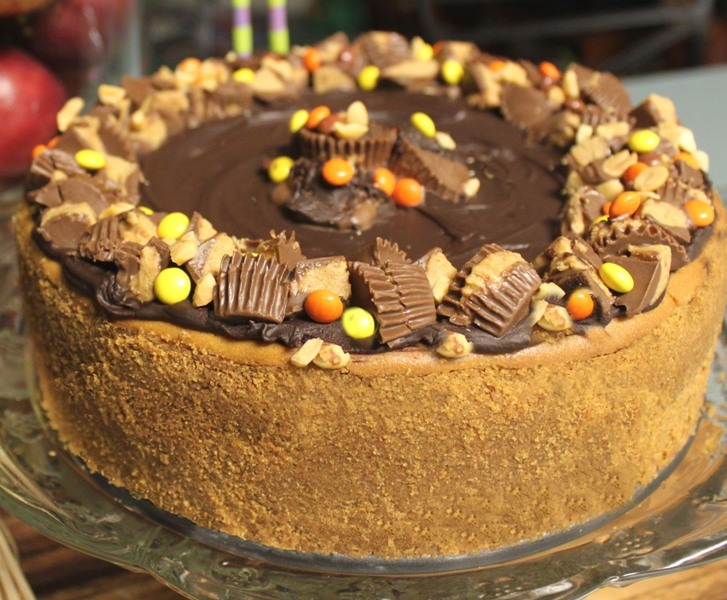 Chocolate-Peanut Butter Cheesecake | Rosetta Bakes! Not sure if you even check this blog post but I have been looking for this recipe FOREVER! My husband tossed my Paula Deen magazine. It looks like you mixed up the chocalate layer and cheesecake layer in the instructions and I am hoping you still have them. I made this twice for work and co-workers have been begging for 6 months for me to make again. Thanks in advance if you can help. This is one yummy cheesecake!! Dianna, I made the correction you were referring to and I appreciate you pointing this out to me….after all, to error is human as they say. I post a lot of things and without a proof reader, I’m sure I have my errors! I’m glad you enjoy this cheesecake as much as I do, I agree, this is one yummy cheesecake! Monica, so sorry so long in responding…I’ve had medical issues. The recipe Chocolate Peanut Butter Cheesecake has been updated. I’m wondering where the chocolate layer goes in this. I don’t see directions for it. Thanks! Zach, so sorry so long in responding…I’ve had medical issues. The recipe Chocolate Peanut Butter Cheesecake has been updated.